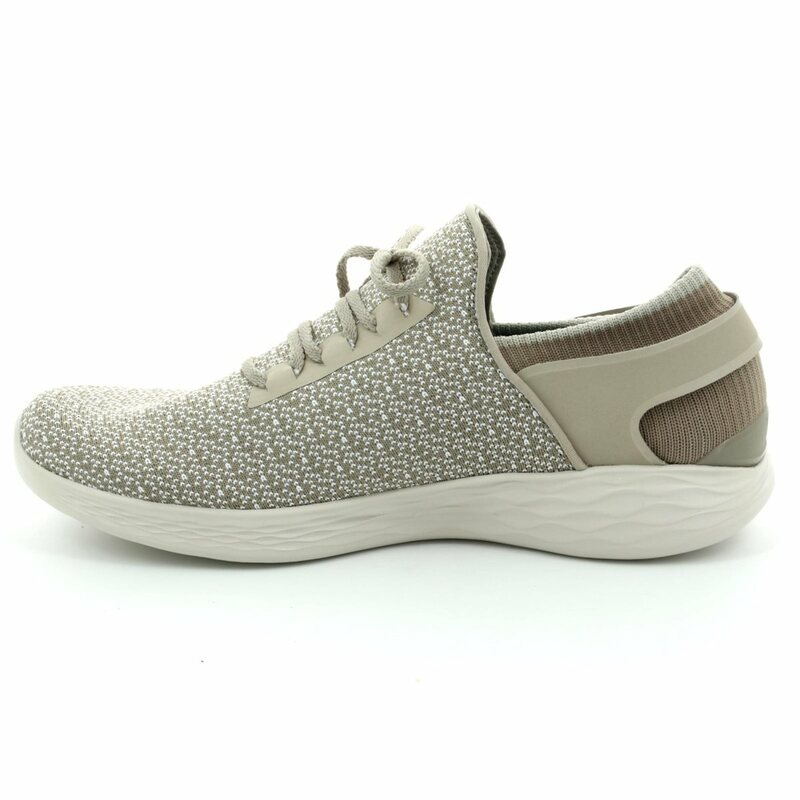 Skechers bring us 14950/141 YOU INSPIRE. 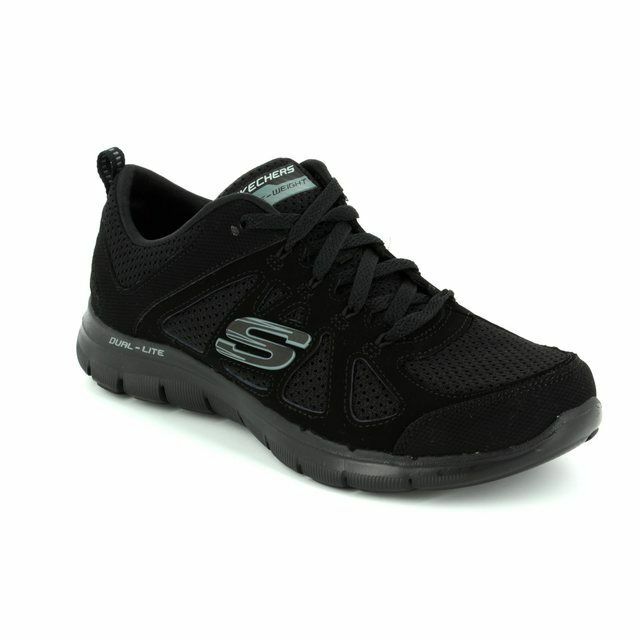 Skechers blend the best of lacing and slip on trainers with their 'You Inspires'. 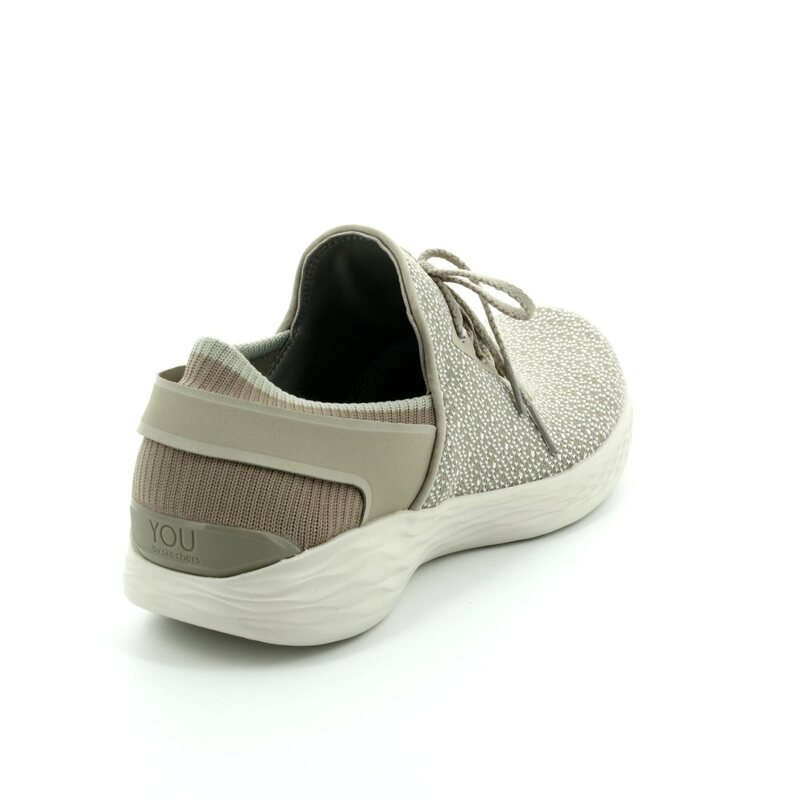 The lowered lace detailing allows these shoes to be tailored to fit while still working perfectly as a slip on. 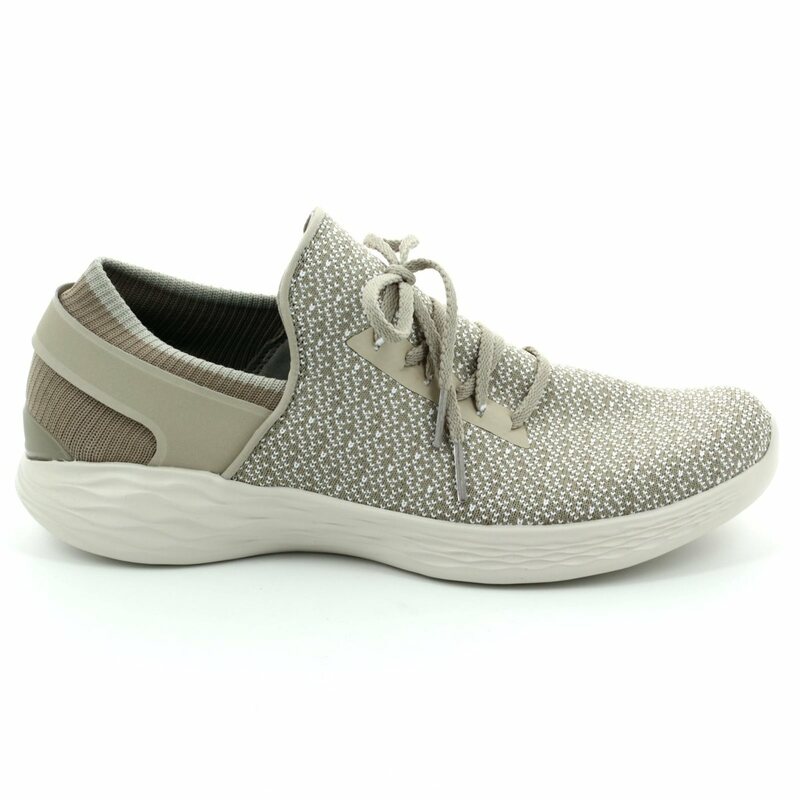 The use of the tan mesh and fabric upper helps to keep these ladies trainers cool and comfortable. 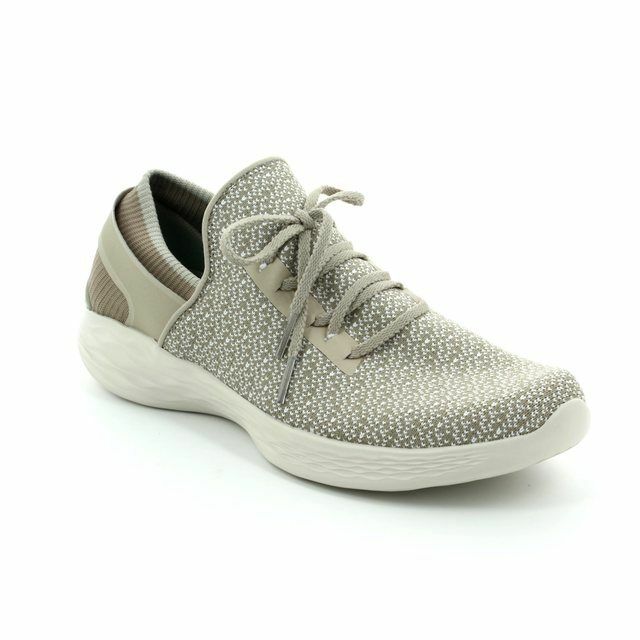 Skechers have also included their 'high rebound, cushioned outsole' for the ultimate in comfort, especially when paired with their cushioned insole. 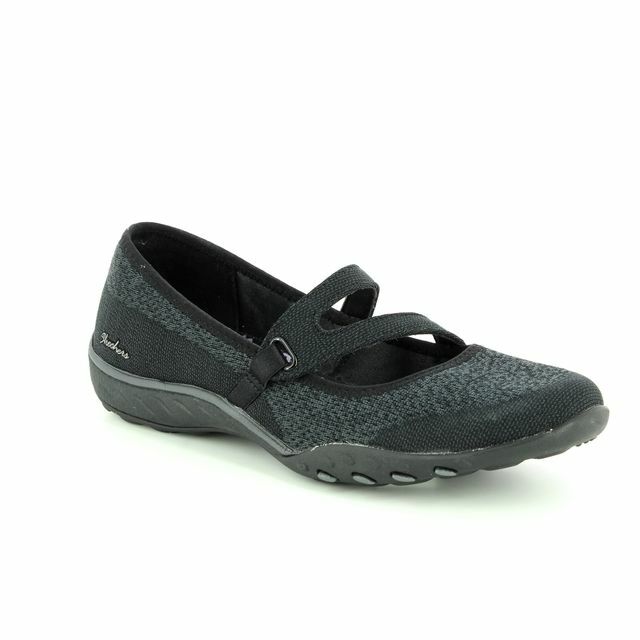 Also available in black, navy and grey, these ladies Skechers are the perfect wardrobe addition. Buy your Skechers ladies trainers from Begg Shoes and Bags, an official Skechers stockist.